There are many different types of four wheel drive systems. Each vehicle manufacturer can have a different way of providing power to all of the vehicles wheels. Four-wheel-drive (4WD) refers to vehicles that have a transfer case rather than a differential between the front and rear axles, which means the front and rear drive shafts will be locked together when engaged. Common issues with four wheel drive vehicles include inaccurate signaling of 4WD engagement, getting stuck in 4WD, broken transfer shifter fork, chassis problems, suspension problems, etc. Such issues can render you vehicle unsafe to drive. 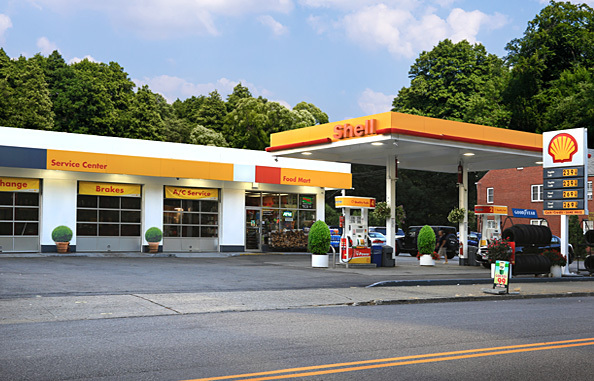 Our technicians at Peekskill Shell Auto Repair and Tires, can look over your transfer case, case gears and replace fluid if necessary. Stop by and prevent unnecessary damage to your four wheel drive system.